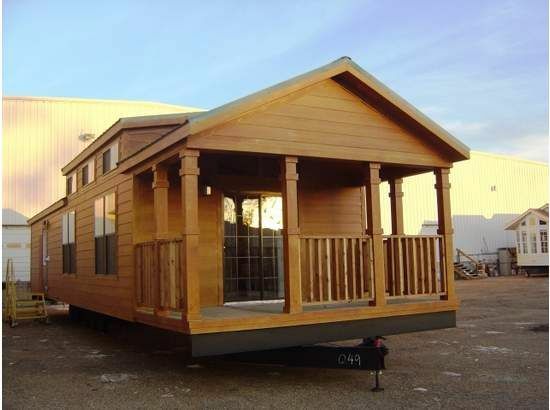 With many park models available on the market, those interested in owning their own private cabin retreat have a broad variety of 400-square-foot floor plans to explore in order to discover the arrangement which works for their own individual requirements. 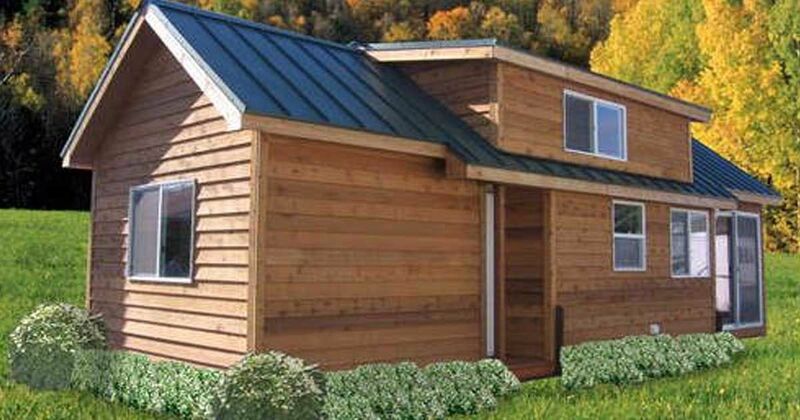 The gorgeous wood exterior gives this park model the appearance of a static log cabin. It will look perfect in a rural setting, and will weather nicely to have a rustic aspect. 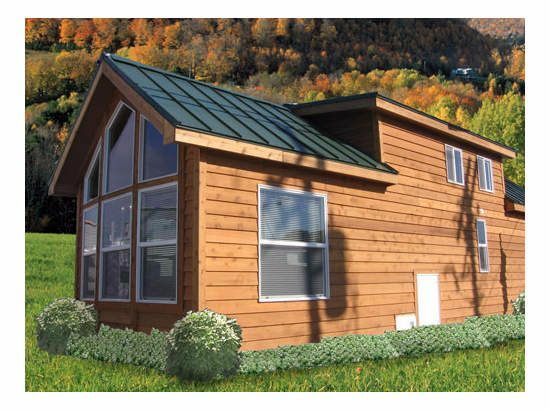 Taking a look at an artist's render, we can see how this park model is imagined as a woodland retreat. 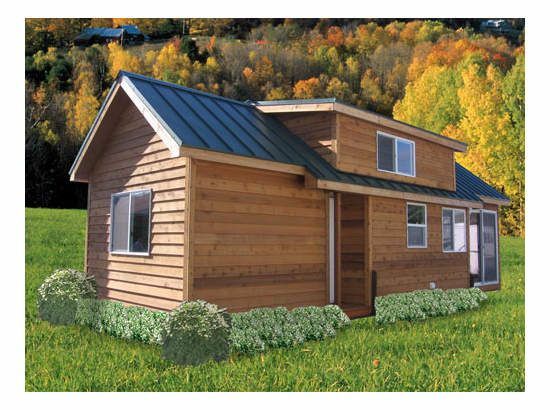 Totally customizable, the cabin can be extended to include the wall of windows which create light-filled homes. 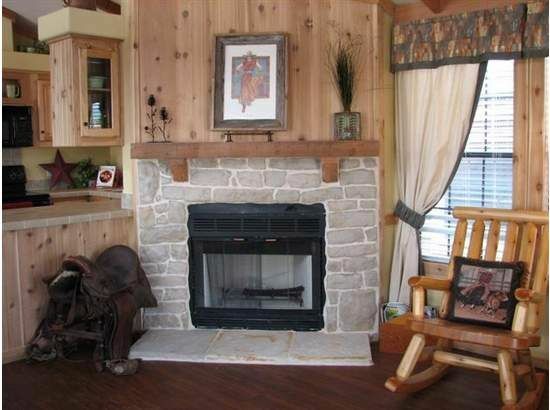 Inside the cabin, we find a high standard of finishes, including a stone fireplace which has an attractive appearance and will effortlessly heat this quaint cabin. 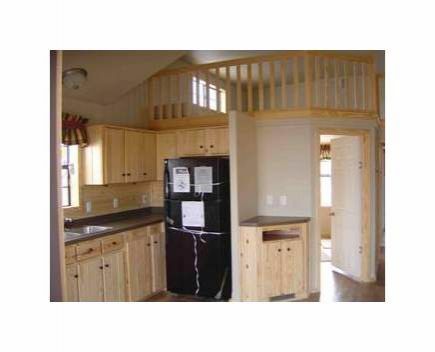 The main living area includes the kitchen at the front. 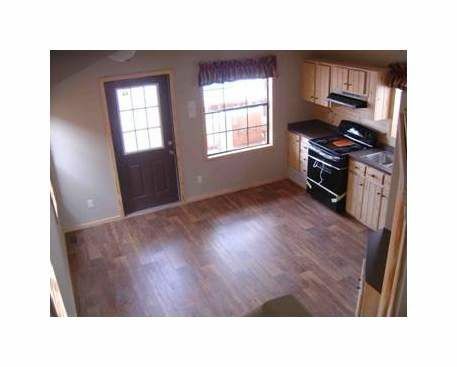 With plenty of cabinetry and desirable black appliances. This living space is spacious, attractive, and comfortable. The raised ceiling and numerous windows draw the light in, which is highlighted by the clean white-washed walls. 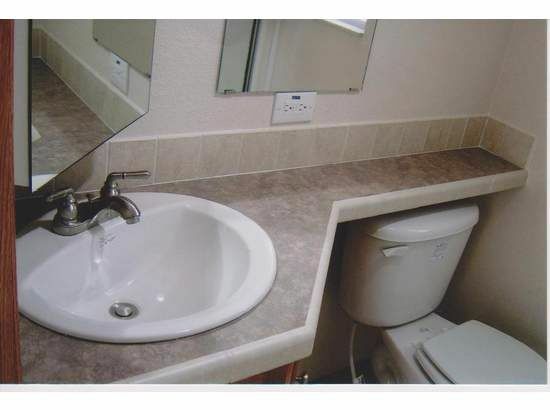 The bathroom is also a bright, clean space, with lighter tones used throughout. The washroom includes a tub, whilst the entire cabin has intelligent space-saving storage solutions. 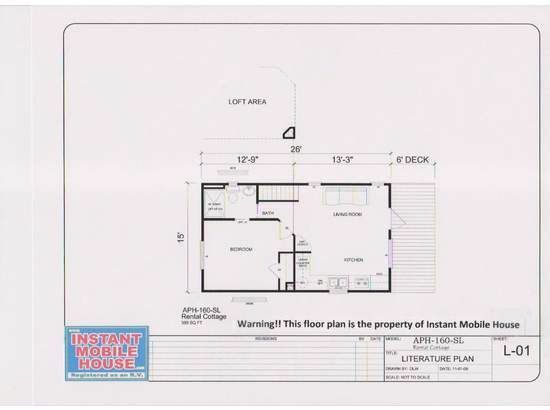 A nice park model with an interesting floor plan. Do you agree? Why not SHARE this tour with your Facebook friends?